Here at Stephensons Tree Service specialize in pest management, especially the treatment of Agrilus planipennis better known as Emerald Ash Borer or EAB for short. It is an exotic beetle that was discovered in southeastern Michigan near Detroit in the summer of 2002. The adult beetles nibble on ash foliage but cause little damage. The larvae (the immature stage) feed on the inner bark of ash trees, disrupting the tree's ability to transport water and nutrients. 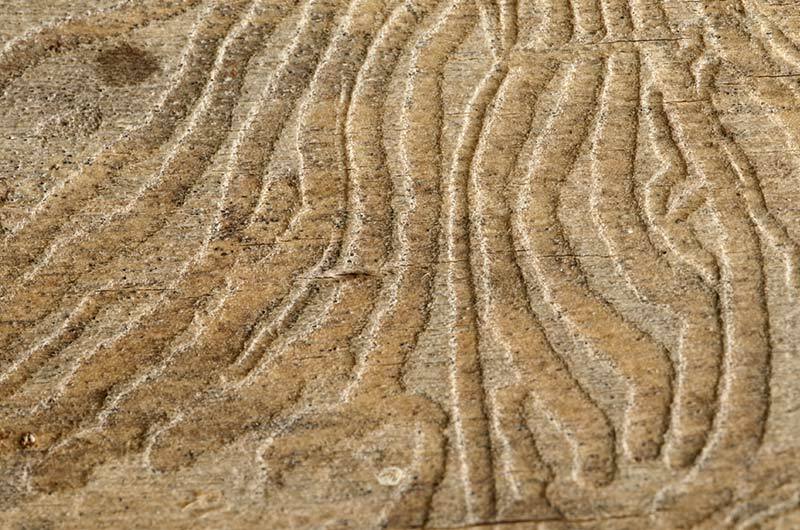 It is believed that EAB probably arrived in the United States on solid wood packing material carried in cargo ships or airplanes originating in its native Asia. EAB has killed tens of millions of trees and cost municipalities, property owners, nursery operators and forest products industries tens of millions of dollars. We here at Stephensons Tree Service utilize the best equipment and scientific knowledge to help protect, treat, and eliminate the spread of EAB. We utilize a root basal soil drench, which has proven to be the most effective and safe weapon against this foreign invader. An example of a D-shaped emergence (or exit) hole. The very small hole (1/8 of an inch) is a sign of emerald ash borer infestation. 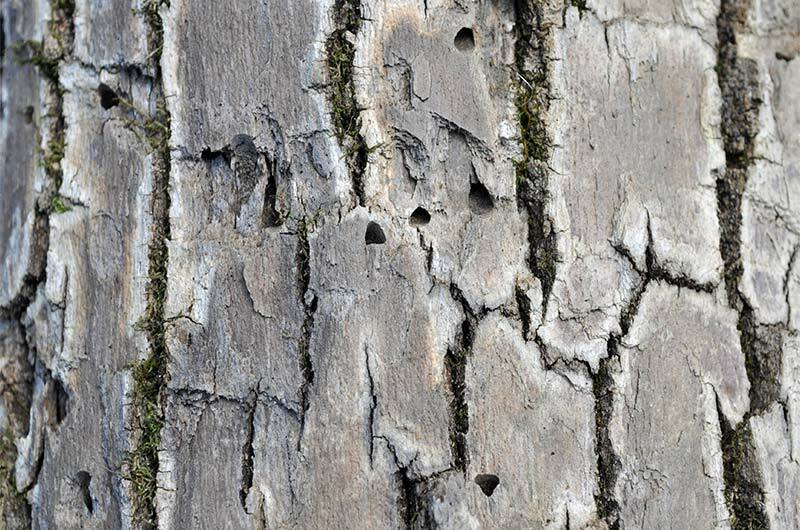 NOTE: other wood boring beetles also leave exit holes in trees. The tiny size AND D-shape are characteristic of EAB.